Fuji has stated that its recent entry into the compact system camera market with the Fujifilm X Pro1, is just the first in what it hopes will be a long line of interchangeable lens cameras. Having exited the interchangeable lens market back in 2006, when Fuji worked in partnership with Nikon to produce DSLRs, the X Pro1 was introduced back in February featuring an all new APS-C sensor design and lens mount. Speaking to TechRadar, Adrian Clarke, Senior Vice President of Photo Imaging for Fujifilm, said, "It's something we've been deeply considering for a long time. We loved SLR, but from a business point of view, it wasn't very good financially and that's why we dropped it. "We wanted to be back in this space and interchangeable is where you need to be, it's where the growth is in the market, but you need to get it right." 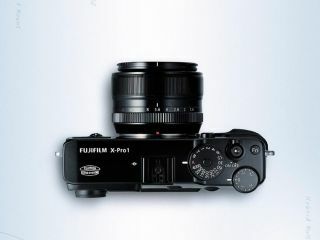 Since it's announcement, the X Pro1 has been widely praised for its image quality, with Fuji's own claims that the sensor is capable of beating full-frame SLR cameras proving to be true in some areas. "We spent a long time deciding what to do, and deciding on our own mount, our own lens system, and when you invest in such a system you can't just do it as a one off, so it's logical therefore that there will be more cameras to follow," Clarke continued. "So absolutely, it's the first in what is hopefully a long line of X interchangeable cameras."